When your loved one has been diagnosed with Alzheimer’s disease, what do you do? How do you handle the changes you are about to witness right before your very eyes? How do you provide the best environment for the patient to thrive? What steps should you take to prepare for what could be a very strenuous journey towards the end of this loved one’s life? If you need help, where do you go? 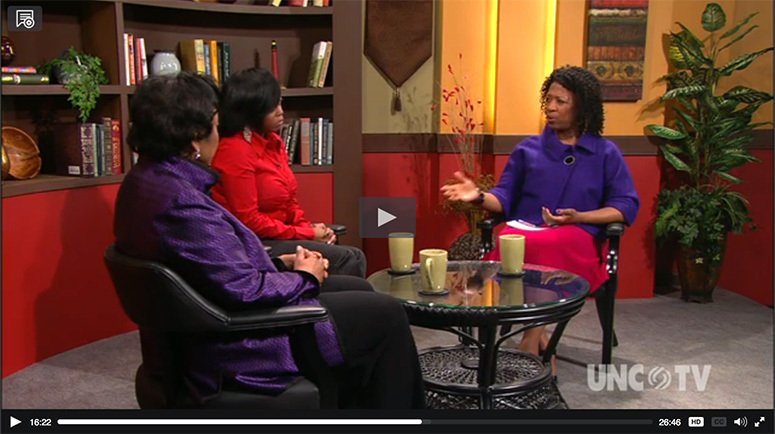 What support is there for caregivers to get help emotionally, financially and physically? 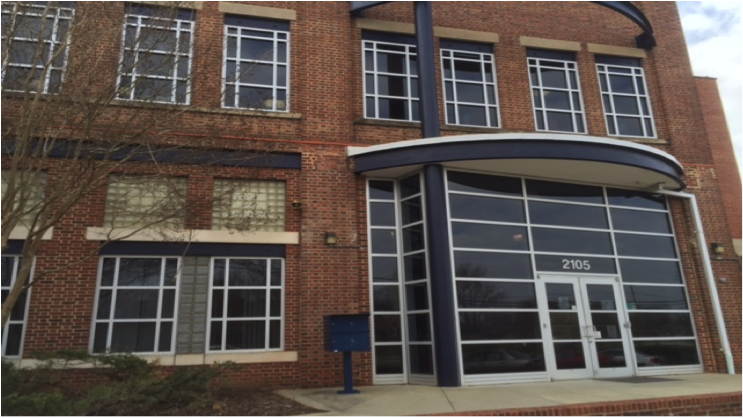 For the metro Greensboro area, the answer is the Center for Outreach in Alzheimer’s, Aging and Community Health (COAACH), an official center of North Carolina A&T State University. 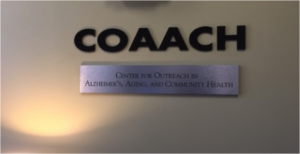 COAACH pulls together a network of research, education, and service organizations to improve awareness and knowledge of diseases which impact the aging. It also serves as a support system for caregivers and an advocate for some of the most vulnerable individuals so they may live life with dignity and independence. 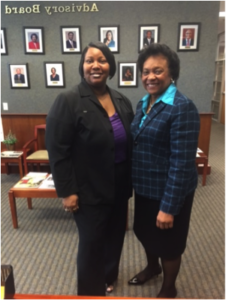 COACCH is led by Dr. Sharon W. Cook, Ph.D., Executive Director and Associate Professor, Department of Sociology and Social Work, NC A&T, and Dr. Goldie S. Byrd, Ph.D., Dean, College of Arts and Sciences, NC A&T, and Principal Investigator. Together they have developed a center which focuses on three core components: Education and awareness of chronic diseases for patients as well as caregivers; Family and community empowerment through advocacy of the impaired and their caregivers to support healthy aging; Research and development to strengthen aging-related research through academic programs and training. The center is proud of the support it gives caregivers and is aware of how critical it is now to educate and assist caregivers with the knowledge they need in order to help their loved ones. Together with the African American Alzheimer’s Disease Research Study, they present the annual Caregivers Education Conference which serves as an important information storehouse providing invaluable information to persons impacted by dementia, their family caregivers, and professional caregivers. At this free conference, attendees get to hear from the experts in the health, legal, and research fields presenting on topics which foster healthy aging and caregiving. The goal is to help caregivers better manage their caregiving responsibilities by connecting them with resources necessary to better help their affected loved ones. The burden placed on caregivers is tremendous. The cost of prevention really is not the issue. But once the disease has advanced to the point where it is no longer safe for the loved one to remain in the home, the cost for housing in a memory care facility or a place similar can be quite astronomical. Long term care policies are available. However, these policies tend to be costly so the average person does not have an insurance policy to assist with these costs. Medicare does help but will not cover the entire cost and expenses involved. Veterans and their spouses can qualify for assistance as well, but again not for the entire cost. There are resources available to assist families with information, support, and opportunities that can help reduce some of the stress involved with the care of an Alzheimer’s patient. But how do they find out about them? Each year, COAACH presents its Caregiver Education Conference on the campus of North Carolina A&T State University. Attendees will find valuable information on subjects such as providing a safe environment for patients, how important healthy eating is to the Alzheimer’s patient’s quality of life, and how to find financial resources to help caregivers. The conference also provides an opportunity for forums and Q&A sessions, and for caregivers to meet other caregivers who are acting as advocates for these special patients. The 2016 COAACH Caregiver Education Conference took place on Saturday, November 12th, continuing the mission of helping caregivers feel supported and informed. If you or someone you know has been diagnosed with Alzheimer’s or dementia, you can access a tremendous amount of support information on COAACH’s website at www.coaachhealth.org . There you will find a list of programs geared to educating and empowering both patients and caregivers, such as their Keeping Memories Alive Listening Parties where those affected by this disease can share their stories, meet others going through similar experiences and connect, and access educational materials that can help them manage this life changing illness. Find out how COAACH serves as a beacon of support and hope, helping families navigate through the darkness of this disease. The need for this program will continue to grow as America’s population ages.